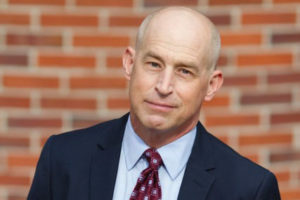 Florida State University Provost and Executive Vice President for Academic Affairs Sally McRorie has appointed Scott Shamp to serve as Interim Dean of the College of Fine Arts. Shamp succeeds Peter Weishar, who is stepping down from his role as dean to join the faculty of the Jim Moran School of Entrepreneurship. The school will welcome its first class of students in Fall 2017. As interim dean, Shamp will lead a diverse combination of academic departments — Art, Art Education, Art History, Dance, Interior Architecture and Design, and Theatre — and oversees several non-academic units, including the John and Mable Ringling Center for the Arts in Sarasota, the Maggie Allesee National Center for Choreography, the Facility for Arts Research and the FSU Museum of Fine Arts. Shamp joined the College of Fine Arts as associate dean in June 2015. Previously, he served as the James Cox Kennedy Professor of New Media and director of the New Media Institute in the Grady College of Journalism and Mass Communication at the University of Georgia. In addition to teaching at the Moran School, Weishar will develop and lead a Themed Experience Institute designed to serve students across the university. He had served as dean of the College of Fine Arts since July 2013. Florida State will conduct a national search for a new Dean this fall.